Age of Kings Heaven » Forums » Town's Crier » Submit Your Age2oons! Topic Subject: Submit Your Age2oons! We're providing a transparent text balloon GIF that anybody is free to modify and use in their toon as a backdrop for the text! Right click on it and click "Save as" to save it onto your Desktop. » "Because I before E is a LIE!!!" 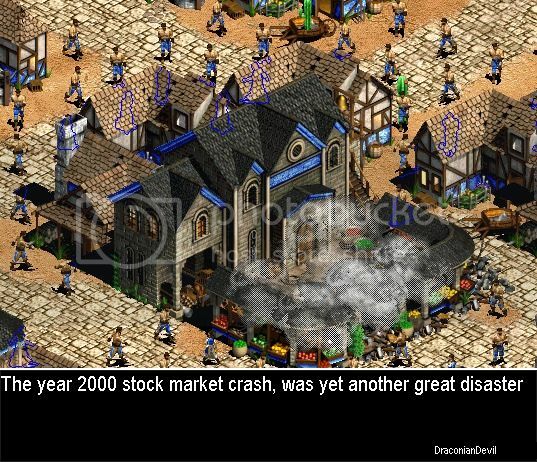 The year 2000 Stock market Crash. I think I get the joke, but it isn't as funny as the others...to me, anyway. I could put it up if someone else likes it though. ~`o´~ |\ Join the fresh and exciting AI Ladder for its fourth season! No it is not a joke, but a fact, which i just wanted to represent using this. So this is what i got. I was playing a 1v1 game when i found sheep but 1 of hem was on shore under cliffs.... i couldnt get it up becasue cliffs where blocking it !!! First, you upload the image to an image hosting site, like imageshack.us. Then, you get a link to the image, copy the one which says direct link, then to post it here, click on the post reply button, then there is a grey bar atop the white box you type in. Click the third button from the right. Now something like [img][/img] appears. You paste the url of the image between the two brackets. Voila! I was playing a game when i saw a whole bunch of villagers trying to take silver !!! Those are good toons speedy.! also please dont mind the spelling mistakes...thank you. Yeah, we have a nice influx of age2oons recently. I've added both of speedy's toons and Draco's market crash. 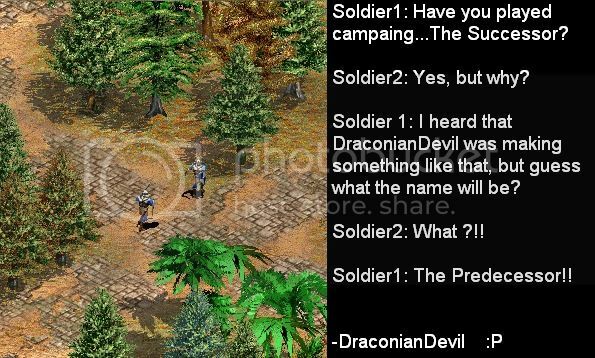 I'll add Scipio's soon, but I have to make it into one pic first. Draco, if you correct the spelling on your Santa pic on the previous page and your Predecessor pic, I'll add them. Yes i will try as soon as possible. 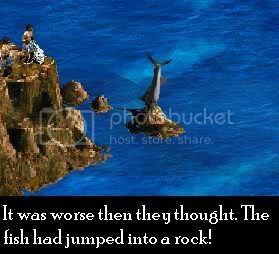 If you were trying to show a high jump, then the later fishes should have gone a bit downwards. Hey leif, could you add the toons that have been posted until now? Okay, the latest Age2oons are finally added. Start submitting more! I should have time to upload them a lot more frequently now. Nice one. In the future it might be best to make it shorter, perhaps two comics per row. Most of the age2oons are short and wide. Do you mean keeping them horizontal instead of vertical? Look at this as opposed to this, with yours being the second one in terms of layout. Both age2oons have been added.